A new age platformer you have to play to believe. You are the hero! Find the key and escape the dungeon. Battle enemies with your sling blade. 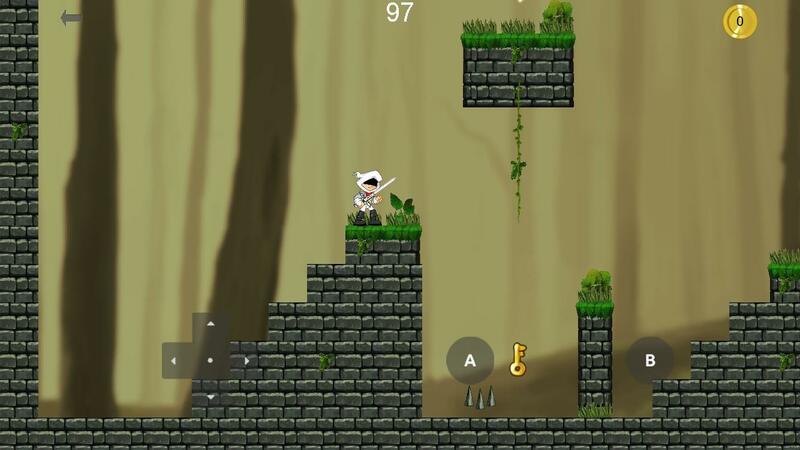 Jump, double jump, avoid spikes and climb vines to find your way. Collect coins to improve your score. New levels and enemy AI!